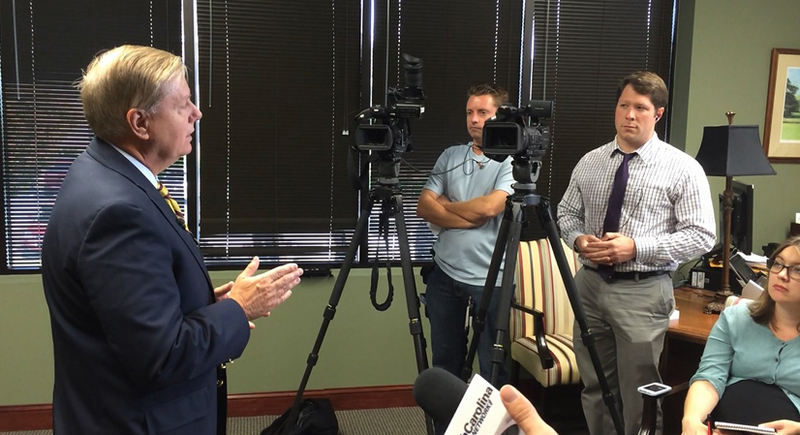 Sen. Lindsey Graham speaks to reporters in his Columbia office. Last night, President Barack Obama called Sen. Lindsey Graham. They spoke for about 20 minutes, which suggests that the president didn’t make very many such calls. Graham told reporters in Columbia today that the president wanted to find a way to work with him and other Republicans so that the next two years aren’t just a continuation of gridlock of the last two. Obama wasn’t looking for miracles. He wanted “a medium or small-sized deal” or two that could build confidence, persuade everyone that it’s possible for the two sides to work together for the good of the country and then who knows? Maybe a big deal would be possible. What sorts of things might constitute such a modest deal? The first thing Graham mentioned was the fact that the highway trust fund is depleted — as on the state level, the gasoline tax no longer brings in enough to meet the nation’s infrastructure needs. He said he and Barbara Boxer are already working on a deal that would put a 10 percent tax on money earned by American corporations overseas, to replenish the fund. He said he and the president also spoke about port modernization, the Keystone pipeline, tax reform — and immigration. This entry was posted in 2014 Senate, Barack Obama, Democrats, Elections, Lindsey Graham, Republicans, The Nation on November 5, 2014 by Brad Warthen. And the thing that put me off right away was the dead earnestness of the reaction. I read that quote, “if I get to be president, white men in male-only clubs are going to do great in my presidency.” And without any explanation or context, I knew that it was a joke. Because, you know, I’m not dense. It reads like a joke, without knowing anything at all about who said it. Knowing that it’s Graham, it obviously couldn’t be anything else. And of course, when you follow the link — or look at any of the coverage of the incident after Peter Hamby reported it — the fact that it’s a joke is reported at the top, and accepted without question. Everyone understands that this was the Hibernian Society, and the drill is that you stand up there and make fun of yourself. And yet, there’s not one word in this release that acknowledges that. It’s treated as though Graham were making a straightforward, naked, campaign promise to this group he was speaking to. Which is absurd on its face, but the absurdity doesn’t seem to register on Hutto or his campaign. The release seems to expect the voters to believe that Graham was dead serious, as though he were Ben Tillman or something. Now if Hutto had acknowledge the joke and said it was a bad joke, in terrible taste, it would be a different matter. The assertion might be debatable — a good argument might tip me either way on the point — but it would at least be respectable. He could legitimately get on a pretty high horse about it. He could say that it says terrible things about Graham that he could even conceive of such a joke, and think it was funny. He could say it would be unseemly to joke like that with an all-white-male crowd even if he knew it would never leave the room — or especially if he knew it would never leave the room. As a joke, it’s pretty edgy stuff. Like, almost “Family Guy” edgy (which is to say, “OhmyGod, why am I laughing at this?” edgy). A white Republican senator, speaking to an all-male, all-white group, says something that both mocks himself as a GOP politician (and mocks the idea of himself as a presidential candidate along the way) and digs at the audience itself. It was pretty nervy. It was the kind of thing I might say to such a group in spoofing a GOP politician, while being pretty nervous about whether they would laugh or not. On the one hand, you can argue that it shows a pretty finely developed sense of both social conscience and irony to want to mock a crowd like that, and oneself, that way. Like, look at all us white guys schmoozing; aren’t we ridiculous? But a very good case could be made that a politician who represents an entire state in the South should never, ever make such a joke — particularly if, you know, he belongs to the official party of the Southern white man. There’s really nothing funny about living in a state in which the racial division between the parties is so clearly understood by all, Tim Scott notwithstanding. I mean, have a little respect for me. Give me a f—ing break, as a U.S. senator might say. This may be the most intellectually insulting thing I’ve seen from the Democratic Party since all the “War on Women” nonsense. It’s an appeal that assumes appalling degrees of emotionalism and gullibility on the part of its audience. BREAKING: Lindsey Graham makes offensive comments at male-only club. We’ve had enough of this. Add your name now to send a message: It’s time for South Carolina to move beyond this kind of behavior! These offensive comments are NOT okay – and absolutely unbecoming of a United States Senator. Will you click here and send a message that it’s past time for South Carolina to move on from this kind of behavior? If you can take that seriously, by all means click on the links and give some money. Which is the point. The fact is, if Hutto and his party just left this alone, the half-perceived news coverage would cause a lot of their constituents to leap to the very response that they wish to see them leap to: “Lindsey Graham said WHAT?” But to take them by the hand and misrepresent the situation so as to lead them there is something else altogether. The difference here is that — appropriately or not (and personally, if I were his campaign manager, I’d probably be giving him hell right now for f—ing up) — Graham was kidding, but the Democrats are not. They really want people to believe that they’ve caught Graham being genuine. As though this were a “47 percent” moment. Which it plainly is not. This entry was posted in 2014 Senate, Character, Civility, Lindsey Graham, Parties, Race, South Carolina, Spin Cycle, Words on October 30, 2014 by Brad Warthen. There’s not much new about it. It’s his usual thing about how he thinks the job of a U.S. senator should be about worrying about everyday conditions on the ground here in South Carolina rather than in the rest of the nation and the world. Which isn’t my concept of a senator’s role at all. When I hear Hutto say these things, I sometimes wonder whether he ought to quit the South Carolina Senate and run for county council. He seems to be all about the local level. But don’t go by me. He’s running a populist campaign, and I don’t have a populist bone in my body. 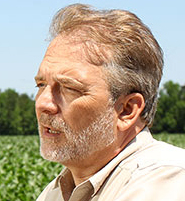 Orangeburg, SC – Democratic nominee for US Senate Brad Hutto began running TV advertisements across South Carolina today. The ad contrasts Lindsey Graham’s role as a Washington DC insider, self-promoter and potential Presidential candidate to Brad Hutto’s pledge to be a Senator who will work for South Carolina. In the ad Hutto advocates for a hike in the minimum wage, securing equal pay for women, and protecting financial security for seniors. This entry was posted in 2014 Senate, 2014 Senate, Democrats, South Carolina, The Nation, The World on October 22, 2014 by Brad Warthen. File photo from earlier this year. Hours after the Associated Press reported that Ravenel was “reassessing” his indie challenge of U.S. Sen. Lindsey Graham, the former state treasurer tried to get in touch with Folks, the ‘founding editor’ of FitsNews.com who appeared on the show as T-Rav’s political advisor. According to an incident report filed by the sheriff’s office in Lexington County, where Folks lives, after he didn’t answer a phone call from Ravenel Sunday morning, he followed with several “harassing text messages” to Folks around 9:30 Sunday night. The incident was first reported by the Post and Courier, but you can read the full report below. Here’s the incident report. And here’s what Will had to say about it. This entry was posted in 2014 Senate, 2014 U.S. Senate, Blogosphere, South Carolina on October 6, 2014 by Brad Warthen. This entry was posted in 2014 Senate, Republicans, Social media, South Carolina on October 3, 2014 by Brad Warthen. 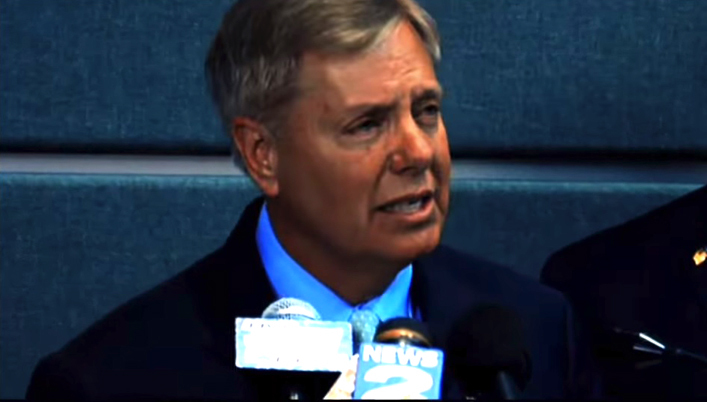 Lindsey Graham, weakest incumbent GOP senator in the nation? According to this CBS New, York Times poll of all the US Senate races this year, Lindsey Graham is the weakest Republican incumbent in the nation. He’s getting just 42% of the vote. In a quick glance, that appears to be the case. Of course, what is greeted as good news by one Democratic challenger is pretty lousy news for Democrats nationally. Lots of Democrats would give anything to have Graham’s 42 percent. Look at poor Mary Landrieu, trailing at 36 percent! This entry was posted in 2014 Senate, Lindsey Graham, Public opinion on September 9, 2014 by Brad Warthen. In head-to-head matchups against his three opponents Graham can’t hit 50%. In most of the polls, he isn’t close, averaging about 45%. Bottom line: people know Lindsey Graham and they’ve made their minds up about him. Like most incumbents, Lindsey Graham has very little room to grow and will likely not move much in the polling. 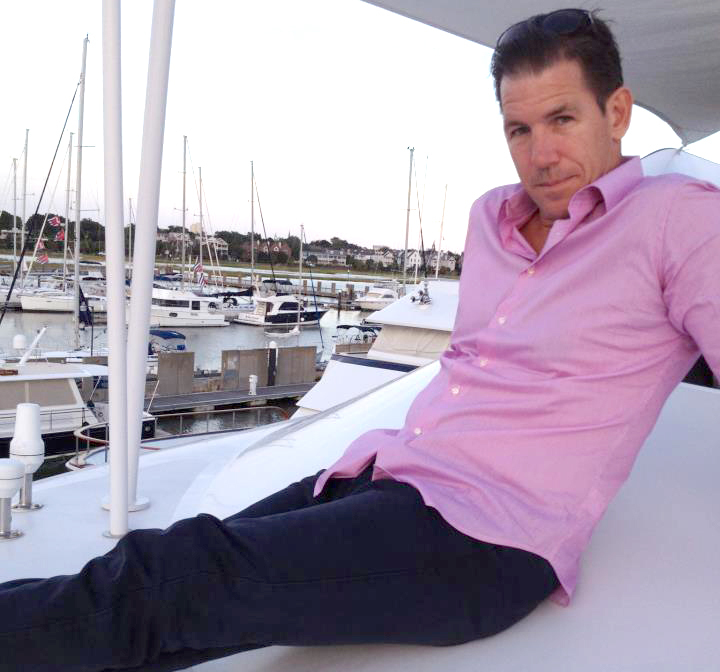 Independent-conservative Thomas Ravenel, of Southern Charm fame, and Libertarian Victor Kocher are combining for near 15% in these polls. I have to assume nearly all of it is coming from Graham. Ravenel will likely spend millions of his own daddy’s money to help seal Lindsey’s fate. And so in the end, Ravenel and Kocher give very conservative voters a place to go other than Graham, whom they despise for his positions and votes on immigration reform and global warming and for his votes in support of Obama’s judicial nominees. In recent history, Democrats in South Carolina normally end up somewhere in the mid 40’s on election night. In Obama’s two elections down in my home state, he finished with 45% and 44% here. In 2010, state Senator Vincent Sheheen received 47% in his bid for governor. The Democratic nominee for Lt. Governor got 45% and Matthew Richardson who was running for Attorney General ended up with 44%. In 2008, the guy who ran as a Democrat against Lindsey Graham and didn’t spend any money got 42% of the vote. And no, I have no clue who the hell he was…. That math is pretty similar to the scenario that Lachlan painted for me not long ago. But note that ominous bit at the end of that excerpt, about not remembering who the Democratic nominee even WAS in 2008 (I had to look it up myself; his name was Bob Conley). Despite being well known in the bubble of the state legislature, Hutto isn’t well known with most voters. For now, he’s showing up in the mid to lower 30’s in the polling. But most of the undecided voters are Democrats and Independents. Assuming Hutto can raise enough money to make a decent TV buy later in the fall, he’ll end up in the mid 40’s – right there with Lindsey Graham…. The ad below shows the message Sen. Hutto will be trying to get out. This entry was posted in 2014 Senate, Democrats, Lindsey Graham on September 3, 2014 by Brad Warthen. Brad Hutto is fighting hard in a close race to replace Senator Lindsey Graham, and there is some good news out of Brad’s campaign that we didn’t want you to miss. A poll of Graham’s approval shows that more South Carolinians disapprove of how he is doing his job than approve. 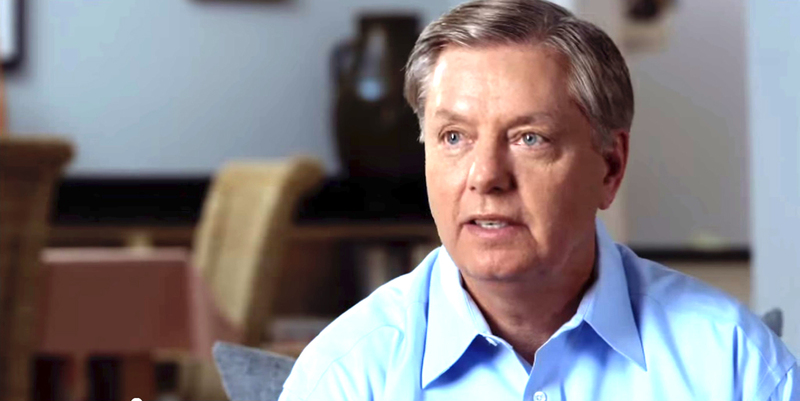 What’s more, Lindsey Graham never polls above 50% – this is a huge opening for Brad! What Brad needs more than anything is our support in this race. Will you sign now to join the SCDP in telling Brad that you are behind him 100%? It’s been a long time since South Carolina sent a Democrat to the Senate, but because of the strong campaign that Brad Hutto is running and the abysmal job that Lindsey Graham is doing, we’ve got a chance. But it won’t happen without you! Sign now and let Brad know that you are ready to help the SCDP send him to replace Lindsey Graham this fall. Are you talking about this poll? Yeah, it has Graham under 50 percent — 49 percent, to be slightly more precise — but it has Hutto at 30 percent. So how is that “close”? This entry was posted in 2014 Senate, Lindsey Graham, Public opinion, South Carolina on August 8, 2014 by Brad Warthen. Will Ravenel’s bids for attention get more desperate? EDISTO, S.C. – Lowcountry businessman and independent U.S. Senate candidate Thomas Ravenel today challenged U.S. Sen. John McCain to “step up to the plate” and debate him so that South Carolina voters can hear the views of his longtime liberal understudy, U.S. Sen. Lindsey Graham – who is refusing to participate in a series of citizen-driven debates. Last month Ravenel issued a debate challenge to Graham, Democratic nominee Brad Hutto and Libertarian candidate Victor Kocher. He proposed a series of at least eleven debates in different parts of the state in which citizens would conduct the questioning of the candidates. Graham is the only candidate who hasn’t responded. “If he won’t defend that record, maybe John McCain will,” Ravenel added. Ravenel said that he would be issuing a series of debate challenges to Graham’s “puppet masters” over the coming weeks. Is this what he does when he’s ignored? Will his bids for attention get more desperate as time passes and the members of his former party continue to ignore him? This entry was posted in 2014 Senate, John McCain, Lindsey Graham, Republicans, South Carolina on August 5, 2014 by Brad Warthen. EDISTO, SC – Lowcountry businessman and independent U.S. Senate candidate Thomas Ravenel called on U.S. Sen. Lindsey Graham to publicly disavow a $250,000 contribution made by former New York Mayor and notable anti-Second Amendment zealot Michael Bloomberg to a “Republican” political action committee that’s supporting Graham’s reelection. Ravenel also challenged former S.C. “Republican” Party chairman Katon Dawson to send the money back to Bloomberg. Ravenel added that this wasn’t the first time liberal money had washed up in South Carolina on Graham’s behalf. Ravenel also called out the state’s “Republican” establishment for its hypocrisy. My question is, how does the campaign expect anyone to pay attention to the second one after they’ve read the first one? This entry was posted in 2014 Senate, Character, Lindsey Graham, Popular culture, South Carolina, Television on July 15, 2014 by Brad Warthen. 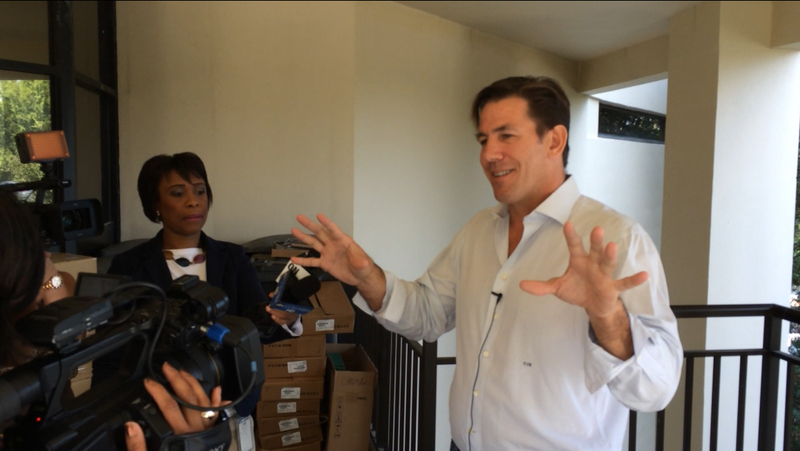 I ran by the SC State Election Commission today to catch Thomas Ravenel delivering his petitions in a bid to get onto the ballot to run as an independent for Lindsey Graham’s U.S. Senate seat. Jack also said Ravenel arrived, went into the election commission office, came out about 10 seconds later and then did it all again, saying something about it being a second take. Like it was a reality TV show, instead of actual reality. In response to a question from Jack, T Rav said he had just been kidding about renouncing his citizenship. 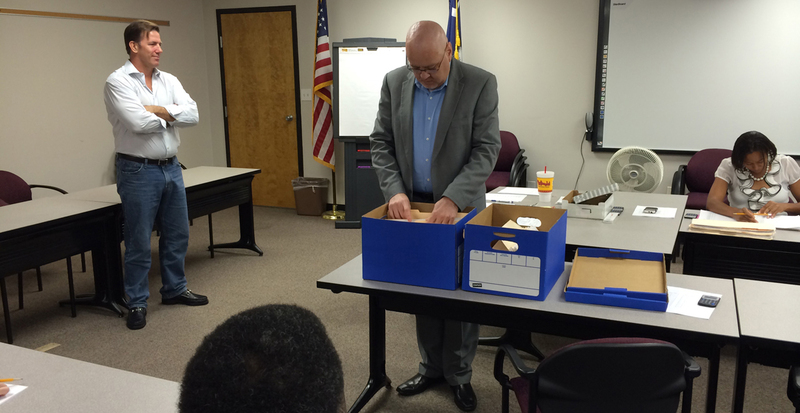 When I arrived, everybody was filing into a room with several election commission workers sitting around while one official stood over the box of petitions that Ravenel had brought in. After we waited a few minutes, some of the gaggle headed back out of the room and I followed, and out the back door there was Ravenel holding forth again, this time on foreign relations (see the video above). Doug and Bud should love his notions of nonengagement. Then, there was another uncertain period when Ravenel stood watching the election people doing official stuff with his petitions. Eventually, I got his press guy’s phone number and left. I might talk with Thomas tomorrow. The commission has 30 days to determine whether Ravenel has enough valid signatures. If you want a fuller account, here’s Jamie Self’s at thestate.com. COLUMBIA, SC – Lowcountry businessman, reality television star and former statewide official Thomas Ravenel submitted 16,469 signatures to the S.C. Election Commission (SCEC) today – more than enough to qualify him to appear on the November ballot against U.S. Sen. Lindsey Graham and State Senator Brad Hutto. Today I filed signatures to appear on the November ballot and give South Carolinians a real choice – not a false choice between two increasingly indistinguishable bought-and-paid for political parties. 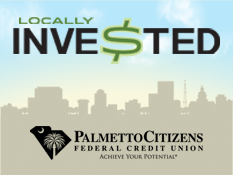 Working together over the last few weeks a team of volunteers and professionals collected more than 16,000 signatures from all 46 counties in the Palmetto State. First I want to thank everyone who worked so hard to gather signatures. And everyone who signed our petition. When it comes to their voice in the U.S. Senate, South Carolinians no longer have to make the false choice between the warfare state and the welfare state – between crony capitalists and bureaucratic apologists. Before I filed these signatures, voters had to choose between a guy who wants to take most of their wallet and all of their liberties … and a guy who wants to take all of their wallet and most of their liberties. Now they can vote for someone who will protect both – advancing prosperity and freedom for all no matter their age, race, religion, gender or sexual orientation. Lindsey Graham doesn’t want you to have this choice. In fact the special interests who bankroll his campaign and his pit bull political action committees are going to do everything within their power to maintain the status quo. And not just of losing, they are scared that for the first time someone with an unafraid, uncompromising voice is stepping forward to call them out for what they are – thieves of your liberties and your livelihoods. Unlike two-party Washington, my campaign will propose real reforms – true spending cuts, tax cuts and other market-based reforms aimed at redefining our relationship to government – asking not what government can do for us but what we can do for ourselves and – wherever possible – those in need. I look forward to laying out those ideas in the weeks to come and engaging in a long overdue debate over the future direction of this country. This entry was posted in 2014 Senate, South Carolina on July 14, 2014 by Brad Warthen. Still, Ravenel is cagey when asked about his strategy for the race, declining to discuss his campaign plans and fundraising goals or disclose the number of registered voters who already have signed his petition to be on the ballot, due to the State Election Commission by noon on July 15. While he says he is a proponent for peace, Ravenel used a war analogy to explain his campaign secrecy. Um… correct me if I’m wrong, Civil War buffs, but isn’t the main reason Jackson never wrote a little note like that the fact that he never faced Ulysses S. Grant in any battle at any time? Grant was out West until nearly a year after Jackson was killed in action. For the record, Julius Caesar never wrote a little note like that to Napoleon Bonaparte, either. This entry was posted in 2014 Senate, History, Lindsey Graham, Military, South Carolina, Southern Discomfort, War and Peace on June 26, 2014 by Brad Warthen. A still from a campaign video. Where I live, I normally take a Republican primary ballot, because that’s the only way I get any choices, especially on local races. But four years ago, I broke with that pattern because of one race: I wanted to vote for Vincent Sheheen. I was so disappointed by the whole Republican field for governor (even Henry McMaster, whom I had expected to like for the job, but hated the campaign he ran), and I wanted to have the positive experience of voting for somebody for governor, rather than trying to pick the least of evils on the GOP side. I did this even though it meant I was disenfranchised, unable to state a choice as a voter in several races in which the GOP primary was the election (and again, it is SO wrong that a voter has to make a choice like that — we should get a say on everyone who represents us). Today, I went back to the GOP, so I didn’t have that problem. But still, as in 2010, my mind was on one race and one race only. Even if there had been compelling contests on the Democratic side that I wanted to weigh in on (there weren’t), I would have taken a GOP ballot simply to vote for Lindsey Graham. On this day, that was the best and highest use of my right and responsibility as a voter. Totally apart from the fact that he deserves re-election and is a far better candidate than his challengers, the contest for his seat has much broader implications for our state. The worst thing that can happen to South Carolina in today’s primaries would be for Graham to lose, and the second worst would be for him to get into a runoff. If he loses (and a runoff makes it more likely that he might actually lose, if all the Graham haters unite behind one candidate), don’t ever expect to see a South Carolina Republican take a political risk in order to do the right thing for a long, long time. He would be the cautionary example of what happens if you think for yourself and stick your neck out. Conversely, if he wins decisively today, it affirms the kind of thoughtful, principled representation of which we all know he, unlike his opponents, is capable. The crowd of people running against him all smell blood in the water. Some are just dangerous extremists (Lee Bright) and others are opportunists willing to benefit from his vulnerability — and willing to cater to that same extremism in order to conquer. That must not be rewarded. All sensible, moderate South Carolinians, regardless of party, should be asking for a GOP primary ballot today, and voting for Graham. And yet I know so many will find excuses not to. When was the last time that actually happened? Has Lindsey Graham done anything in public during his current term that I actually am thankful for? I’d like to be wrong about this, but I can’t think of one thing in the last six years that I actually approve of. Anything? 1. He was the only Republican from SC to vote to reopen the government last fall — even as he was bracing himself for the current onslaught from the right. 2. Voting to confirm Kagan. 3. Voting to confirm Sotomayor. It is SO easy for moderates (and the very few liberals in SC) to be turned off by Graham’s recent emphasis on messages that appeal to the hard right — opposition to Obamacare, going on and on about Benghazi, etc. And of course, some of our friends — Bud and Doug come to mind — find that two-faced and deceptive. They’re wrong. And moderates (or liberals) who see only the things they don’t like, forgetting the things that they do like, are wrong as well. There is absolutely nothing wrong, or deceptive, or duplicitous about stressing positions that you honestly hold that appeal to people who might vote for your opponents. An honest politician has not only a right, but an obligation to let voters who might be heavily critical of him know that he actually agrees with them on issues that are important to them. Graham has been a vocal opponent of Obamacare from the start; he and John McCain have been the main critics of the administration on Benghazi. And he is, just as he claims, a social conservative. And moderates and those few liberals who may be turned off by this kind of campaign need to stop and think — this is the only way a guy like Lindsey Graham gets re-elected in this state. Your alternative is not Elizabeth Warren (God help us), or whoever you like out there. Your alternative is Lee Bright, or someone who in office would act like Lee Bright. The kind of courage and thoughtfulness and sense of responsibility that Graham exhibits, at great political risk, on issues such as judicial confirmation, foreign aid, fiscal issues, immigration and energy are rare qualities. And no one else running for this office exhibits them. For someone as high-profile as Graham to be brought low by the extreme Lilliputians of the Tea Party would be a tragedy for South Carolina, because nothing could be more guaranteed to make sure we don’t see his kind of courage in the future. We can’t afford to lose this one guy who puts his country before party doctrine. We can’t afford to lose Lindsey Graham. Another still from the same campaign video. This entry was posted in 2014 Senate, Character, Lindsey Graham, Republicans, South Carolina, The Nation on June 10, 2014 by Brad Warthen. On the eve of Lindsey Graham having to face his top challenger, Lee Bright, at the polls, Team Graham is running a quiet campaign to woo Democrats. Publicly, Graham’s Campaign is saturating South Carolina TV stations touting his supposed “conservative credentials” – yet he is simultaneously using web ads and social media to target Democrats and to remind them they can vote for him in the Republican Primary. This entry was posted in 2014 Senate, Lindsey Graham, Republicans, South Carolina on June 9, 2014 by Brad Warthen. From start to finish, it’s nothing but empty populist sentiments of the “Them ol’ politicians don’t know nothin’, and should stay out of Washington and spend their time settin’ ’round the kitchen table listenin’ to regular folks” variety. The thrust is to complain that we have a smart, energetic senator whose opinions are sought out and respected in Washington. What a terrible state of affairs, eh? I’d like to hear the thoughts of people contributing to this campaign, in terms of what they think they’re buying, and what they hope to accomplish. Is this nothing more than a throw of the dice based on the belief that Thomas Ravenel, running as an independent, could create a situation in which the math works for a Democrat? This entry was posted in 2014 Senate, Lindsey Graham, Marketplace of ideas, South Carolina, The Nation on June 3, 2014 by Brad Warthen. Knowing the editorial board as I do, I had to do a double-take this morning when I saw Sen. Brad Hutto’s picture on an endorsement editorial in The State. Not that Sen. Hutto is a bad sort of fellow or associated with other bad sorts — his mother, a longtime devoted reader of the paper with whom I corresponded regularly when I was the EPE, is a lovely lady, and she is the first association that comes to mind when I see his name — but my general impression is that he is at odds with positions taken by the board more often than he is in agreement. Or at least when he is at odds, he’s very visibly so. Also, he’s very much a Democratic Party happy warrior, gleefully engaging in the sort of partisan behavior that tended to set our teeth on edge. AS POPULAR as it is these days to praise the virtues of outsiders, of political novices, the fact is that there is always a huge danger in electing someone who has never been active in their communities or engaged in public life, much less held public office. S.C. Democrats, of all people, should understand this, after their disastrous encounter with Alvin Greene, the unemployed Army veteran who defeated a respected retired judge in the 2010 primary to win the U.S. Senate nomination and went on to become a serious embarrassment to the party and a distant loser to Republican Jim DeMint…. The danger is even greater when the unknown outsider has a criminal record. State Sen. Brad Hutto has neither of these problems. The Orangeburg attorney is not a felon, and he has served respectably as an outspoken (which is to say high-profile) member of the Legislature for nearly two decades…. This entry was posted in 2014 Senate, Democrats, Endorsement interviews, South Carolina, The Nation, The State on May 27, 2014 by Brad Warthen. I’ve always known that after their parents died when they were both still young, Lindsey Graham took over raising his younger sister. For John McCain, it’s the story about his time at the Hanoi Hilton. For Graham, the personal anecdote that illuminates character to the candidate’s advantage is the one about him taking care of his sister at an age when most of us shouldered no responsibilities. I’ve never heard the story told by the sister herself. So these ads are still something of a revelation. The one above is the 60-second version. I actually think maybe the 30-second one is more effective. And here’s a link to a radio ad that complements the TV spots. You may say it has little to do with being senator, but I’d sure rather see these than more ads about how much the candidate hates Obamacare. That gets old. This entry was posted in 2014 Senate, Character, Lindsey Graham, Republicans, South Carolina on May 20, 2014 by Brad Warthen. I missed this last week, but it was brought to my attention by an alert reader today. What you see above is from a Lee Bright Facebook page about a phone bank on May 2. This entry was posted in 2014 Senate, Character, Civility, Immigration, Lindsey Graham, Out There, Republicans, South Carolina, The Nation on May 6, 2014 by Brad Warthen. Had to smile at the latest release from Lee Bright. As nasty as things get in politics these days, it’s nice to see that even a Tea Party guy (and you know how angry they can be) can express himself with civility, Southern style. Yes, it’s a condescending expression, but it’s a sweet condescending expression. And that counts for something. This entry was posted in 2014 Senate, Civility, Lindsey Graham, South Carolina, Words on April 10, 2014 by Brad Warthen.